I stumbled upon this quote today and couldn't help but smile. It always amazes me when someone is able to put one of my thoughts or feelings into words. 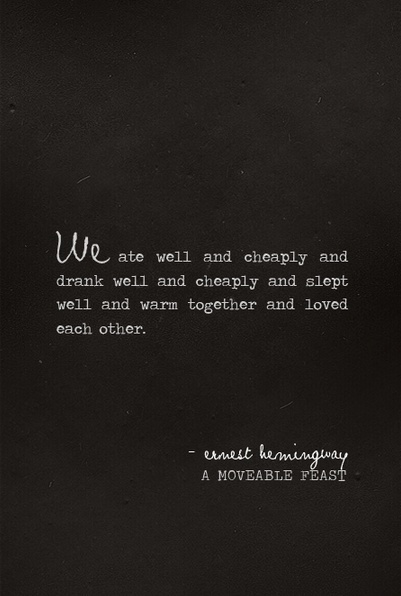 And when it comes to my relationship, that's exactly what Hemingway has done. Whether it was coincidence or fate, I'm not sure - but somehow I got everything I ever wanted. This is our love, a simple love.